Brown and long-time girlfriend Rihanna, each nominated and slated to perform, separately dropped out of the Grammys at the last minute. Brown was being investigated for an alleged assault on the pop starlet. LOS ANGELES — Chris Brown was the talk of the Grammys, but just not in the way he wanted. The singer turned himself into authorities last night to face charges related to an alleged assault on his superstar girlfriend Rihanna, according to reports. Just before the event, nominees Chris Brown and Rihanna, each nominated and slated to perform, separately dropped out of the program at the last minute. Brown turned himself in to LAPD late Sunday night after leaving the scene of the alleged attack before cops arrived, according to the LA Times. The police report cites assault with a deadly weapon but cops tell TMZ that no weapon was used in the attack. Police booked Brown on suspicion of making felony criminal threats, a police department source told the LA Times. Brown posted $50,000 bond, but police say they may add more charges, including felony assault. He could face up to nine years in prison on the current charges. 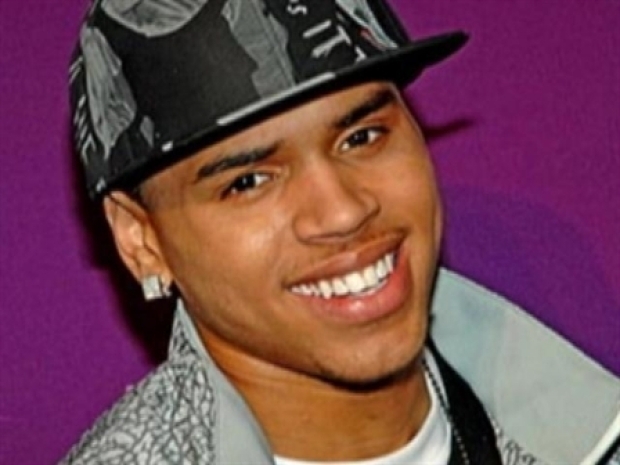 Chris Brown: Who Is The Alleged Victim? 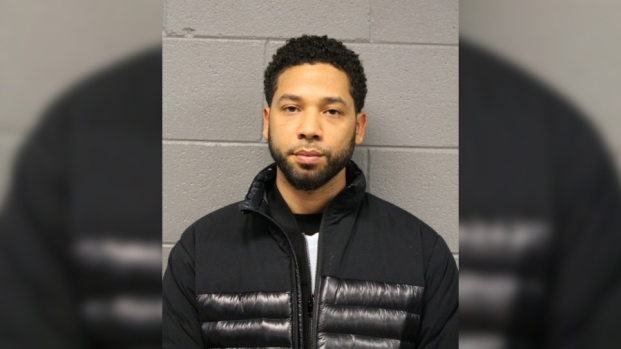 The R&B superstar is charged with a felony in connection with a domestic violence incident. Was girlfriend Rihanna the alleged victim? Plus, Robert Plant wins big at the Grammys. And, Tiger Woods has a boy. Brown's rented lamborghini was impounded at a police lot near the site of the altercation in Hancock Park, TMZ reported. Rihanna's whereabouts were still unknown but the NY Daily News reported that she was treated and released at LA's Cedars-Sinai Medical Center. A source told the paper the late-night incident between the superstar singers became aggressive at when Rhianna got out of Brown's car to walk home, "Things got physical. He hit her, possibly more than once. She had multiple bruises." An alleged "eyewitness" at the hospital told RadarOnline.com that the singer was brought in flanked by LAPD officer, then interviewed by a detective, then met with two female assistants. "Rihanna was clearly very upset by what had happened and I could hear her screaming. Rihanna was trying to get her point across about something, she sounded like she was crying as she tried to get to put her point across." the witness told RadarOnline.com. Her publicist released a statement saying the singer was "well." The LAPD had released a report of an alleged assault involving Brown and and unidentified woman. Multiple reports have identified that woman as Rihanna, whose full name is Robyn Rihanna Fenty. After a party at record mogul Clive Davis' house, the two began a heated exchange in their car, then Brown pulled over and the altercation escalated, according to published reports. A witness called 9-1-1 but Brown had fled the scene when police arrived just after 12:30 a.m. Sunday. The woman suffered visible injuries and identified Brown as her attacker, according to police. A publicist for the Barbados-born star, who sold more digital song downloads than any other in 2008 with nearly 10 million tracks, said Sunday night, "Rihanna is well. Thank you for your concern and support." The New York Daily News reports that the couple had been on the rocks for some time. "They were arguing. Apparently, Rihanna accused him of checking out other women at Clive Davis' party," said the industry insider. "It seems she's taking the steps you'd need to take if you were going to press charges," added the source. "But she could wake up tomorrow morning and decide she still loves him." The pop world's power couple have been dating for more than a year, and rumors have swirled that they were engaged. Yet there were rumblings in recent days about troubles, and sources described the Barbados-born beauty as a clingy girlfriend who can't bear to have Brown out of her sights. The drama unfolded behind the scenes when police said just 90 minutes before the show began that they were investigating the 19-year old Brown. His performance was subsequently removed from the show, though it was unclear if he bowed out or was dropped. The developments put a huge hole in the Grammy telecast, but the Recording Academy found able replacements in Justin Timberlake, Al Green, Boyz II Men and Keith Urban as they all sang Green's classic hit, "Let's Stay Together." No mention was made on the broadcast about the switch. The Daily News also noted that Brown told Giant magazine in 2007 that he had a family history of domestic abuse. "[My stepfather] used to hit my mom ... He made me terrified all the time, terrified like I had to pee on myself," he told Giant. "I remember one night he made her nose bleed. I was crying and thinking, 'I'm just gonna go crazy on him one day...' I hate him to this day." Meanwhile, fall out from the alleged incidents has already begun. Brown has backed out of all events associated with the All Stars, a NBA spokesperson told Usmagazine.com. He had been scheduled to perform during halftime on Sunday in Phoenix, and play in a celebrity game too. Wrigley, the gum company for whom Brown pitches, said Monday afternoon that it's suspending ad campaigns featuring Chris Brown as its spokesman for Doublemint. The company stopped short of saying they will drop the troubled R&B star completely. A company statement expresses concern about what it calls "serious allegations made against Chris Brown." Wrigely said it would suspend any current advertising or any related marketing until the situation is resolved, adding that the singer should be "afforded the same due process as any citizen."